Haunted castles are found everywhere. From the tale of ill-fated lovers to an unfaithful wife that was killed out of shame, castles around the world have its share of creepy stories. These accounts may be either real or folkloric claims by townspeople but where there’s smoke, there’s fire – sightings in these castles tell us there may be more to it than science can explain. Nonetheless, it all comes down to experiencing terror simply by imagining a tour inside the walls of these castles. Castles have become tourist spots not only due to its historical background gave the thousand-year feud between powerful families. These large properties have become centers of tourist attraction provided the intriguing existence of evil spirits, which are reported to be observable until today. 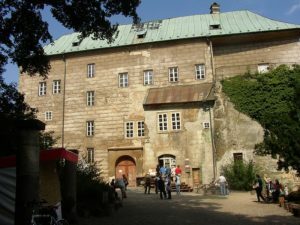 The 13th century built castle in the Czech Republic also became known for its paranormal activity stories. You will find this castle in Northern Prague in the forests, which apparently shows that it is not meant for defense or military protection. Many people claimed that it might be built to close the gates of hell or hold off something evil. The castle has its set of incredibly weird stories. Bohemian rulers were reported to have closed the castle gateway. Prisoners before were asked to be lowered into the hole (aka hell’s realm) in exchange for the pardon. The first one lowered was seen to have aged more than 30 years. Besides, accounts revealed that Nazis used the castle to carry out secret experiments in the 1930s. Hitler has long been known for his enthusiasm in paranormal activities. During the renovations of the castle, skeletons of Nazi officers were found. Apparently, they were killed in the way of execution. The castle is one of the biggest royal residences in the world. It is situated in Edinburgh, Scotland. It was built in the 12th century, and since then became one of the richest in history. Among the reasons why it became among the creepiest places to visit is the personal reports of tourists. Visitors have attested that they heard and seen a headless drummer in the castle, which was proven by same reports since around 1650. The dark halls of the castle were also haunted by Lady Glamis. In 1537, Glamis was accused of witchcraft. As a customary, she was burned while her young son watched. Besides spirits of people, there are also stories that a ghost dog roams around the graveyard of the castle. 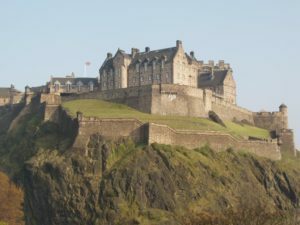 Edinburgh Castle ghost stories were even strengthened by a study done by an English doctor with 240 volunteers. These people had to spend ten days in the castle. It was clarified that these people are not aware that the castle is haunted. Unfortunately, the results showed that the volunteers’ experiences were consistent – the castle is unlikely plagued with paranormal activities. This is found in Northern Wales, England. The castle is built in 1330 and is considered to be a home to strange chanting echoes. Many people have shared their creepy experience in the castle with the feeling of being watched. This United States castle was built in 1894. Back in the 19th century, it is already valued at more than $100 million. This behemoth was built by Oliver Belmont, who lived in the castle and became the poster child and heir to the Belmont family empire. When the castle was completed, Belmont decided to travel and collect artifacts for the property. According to suspicions, the ghosts seen in the assets are mainly due to the objects brought by its owner. Stories feature haunted chairs that are heard to be pushed out by an unknown force. There is also an armor that emits a scream-like sound every March. You can find this haunted place in Denmark. The 1215 built property is said to be a home to 100 ghosts. Generally, you will find castles suspected of one to three ghosts only. The most famous unexplained spirit in the house is the white lady. According to stories, this is the spirit of a woman who fell in love with a servant and was imprisoned by her father. Witnesses leaving nearby the castle also shared that they also see the fourth Earl of Bothwell named James Hepburn riding on his carriage and horse through the courtyard. The significant property was developed in 1250. It is located in Ireland. Primarily, it is Ely O’Carroll’s residence. The castle has recorded violent murders and deaths. One of a terrifying tales is Thaddeus O’Carroll’s story. Thaddeus was apparently killed by his younger brother. Many claims that his ghost still haunts the place. This is better known as Dracula’s Castle. 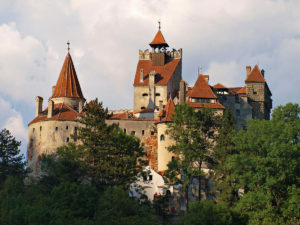 It was built in 1212 by Vlad III Dracul. The Wallachian prince’s brother was buried to die, and his father was murdered. As a result, he became aggressive and arrested the court’s nobles. This is also the reason why he was named Vlad the Impaler. More castles around the world will give you the creeps. Apparently, even the most luxurious and fairytale-like properties are tainted by its inhabitants’ sins and ill fate.